We'll Be Cursing At Super Meat Boy's Insane Difficulty "Very Very Very Soon"
Super Meat Boy for Wii U was hinted at not so long ago, but its appearance during the recent Nintendo Direct broadcast (the European one, at least) is the first solid confirmation we've seen that the indie platformer is indeed bound for a Nintendo system. Meat Boy's arrival on Nintendo system marks the end of a long and rather tortuous saga. Originally intended for WiiWare, the game was cancelled and talk of a Nintendo outing was only recently revived. Are you looking forward to playing it, or have you already sampled it on one of the other formats it has been released on? Let us know by posting a comment below. Will it have the original soundtrack??? 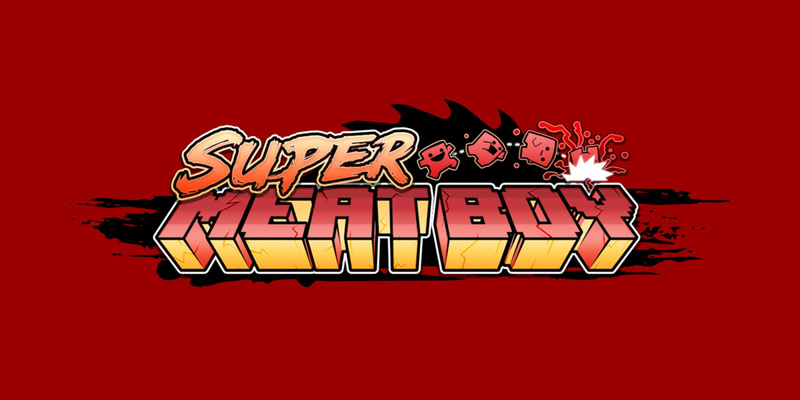 @abe_hikura I guess in terms of super meat boys gestation period for a Nintendo release - a couple of months is very very soon. Seriously, I remember anticipating this release for the Wii back in like 2010. Finally! I remember really liking this game. I played the flash version on a laptop and thought it was great. My generic controller for the laptop stopped functioning, so I tried playing it with the arrow keys. After about 30 seconds, I was like, 'I can't do this, I'll just wait for the Wii release.' Since then, I got married, bought a house, and I'm raising a two year old, but I'll be sure to download this for the wiiu as a form of closure. isnt the standart difficulty already very hard?? I had it on 360, yet, it would be great to play through again on Wii U. Think I'll pick it up when it's out. I rather enjoyed this game a few years back. I remember my hands starting to hurt when I eventually unlocked The Kid after a ridiculous number of attempts. Welp, won't be long now 'till I start cursing like a sailor! That tweet came across a little sardonic. Like, 'lol, I'll talk to the Nintendo fans like they're children'. @Dakt Sorry, the SMB acronym is typically reserved for Super Mario Bros. I guarantee you confused a few (older gamer) people there. Finally bought it on PS4 just two months ago. Unlocking the kid is possibly the hardest thing I've ever done in a game. @yuwarite Ha, I totally read it as Super Mario Bros. even though I knew I was reading an article about Super Meat Boy. Can't undo decades of mental programming. If it has the awful PS4/Vita OST, no thanks. Sounds like it'll only take a couple years to make it to Europe, then. Cool. Loved this game when I played it on ps4. I eventually got to the last world and reached a point where I could not get past and it was taking up way too much of my time when I had other games waiting to be played, so I called it a day. Ended up sticking with Bloodborn until the very end though. No desire to go back but it's definitly a great game to anyone who hasn't played it yet. Got it free with Plus, but I would have bought it for 5-10$. It's definitely a grand sense of accomplishment, unlocking everything. Even if 12-18 attempts of the same boss had my controller routinely bouncing off the memory foam pillow beneath my feet. It's cathartic, being able to drop your controller in dismay and not break it! Speaking of controllers, I still can't believe I was able to get a brand new DS4 for just 25$ on Boxing Day. My partner loves playing Helldivers, Gauntlet and Tomb Raider Osiris while my son laughs as we die hilarious deaths. Would rather risk destroying my PS3 controller in frustration rather than my gamepad. @Seacliff I'm really happy with that.